The third edition of Photo Kathmandu is taking place from 12 Oct to 16 Nov 2018. Photo Kathmandu endeavors to create conversations between the city, its public, its past, and its dreams and aspirations. The festival invites photographers and other practitioners who work with the visual medium to Kathmandu to build and showcase projects as exhibitions, projections and various pop-ups, facilitate workshops and exchanges, join a mixed-media residency and participate in other core and collateral programming. The festival attempts to challenge the limits of ‘artistic intervention’, by constructing platforms and programs that create in-depth engagement with local audiences and special interest groups on themes and topics of socio-political relevance locally. A dynamic arts and education program takes this mission further. The program is run by a group of committed young arts educators who invite Nepali students, teachers, professional networks, and families to engage with the participating artists and projects. In its third iteration, Photo Kathmandu is launching two new programs; a commission for which artists were selected through an open call, and an incubator program that will bring together young photo and related practitioners to share and discuss work and concerns about their practices. The festival has grown from a two-week format in its last edition, to a month-long event this year, with one of its key exhibitions being extended for 6 months. Photo Kathmandu is organized by photo.circle, a platform for photography based in Kathmandu founded in 2007. 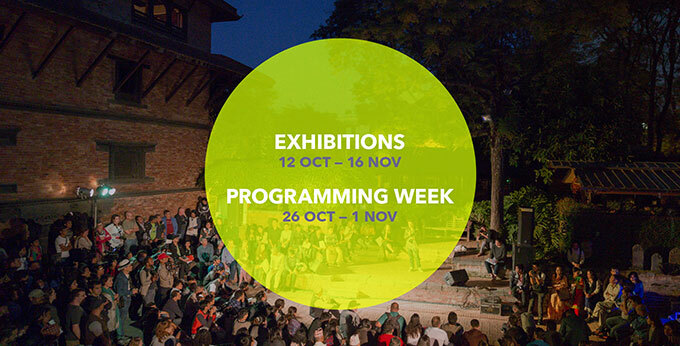 Photo Kathmandu takes place from 12 Oct to 16 Nov, with the main programming week happening from 26 Oct to 1 Nov.